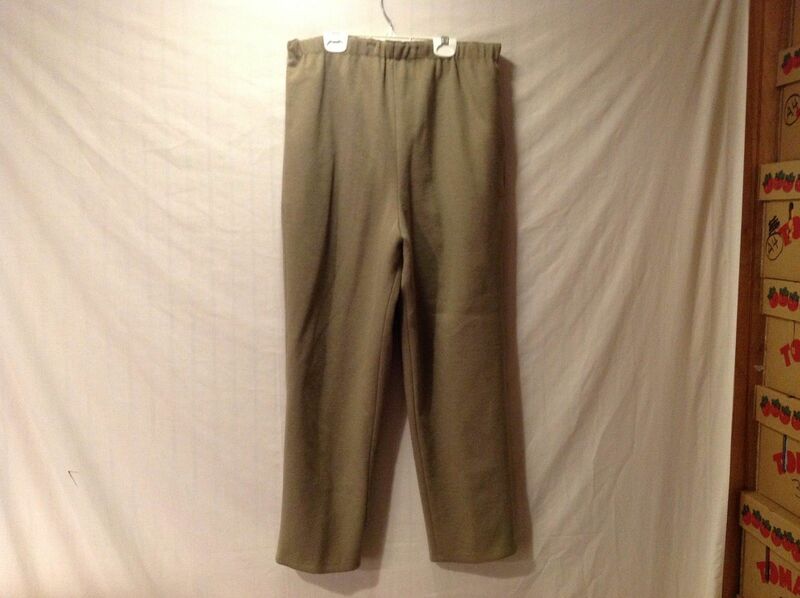 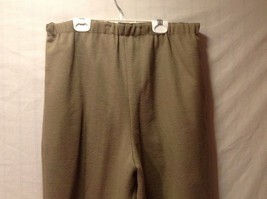 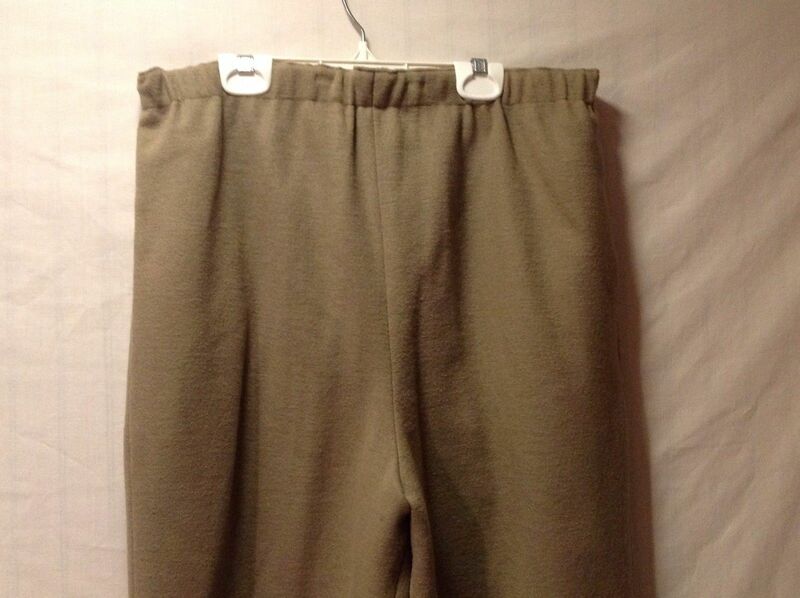 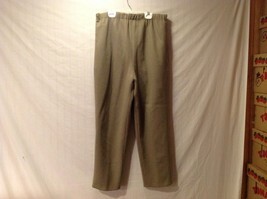 This is an excellent condition Annie Walwyn-Jones light khaki green wool pants with full lining and elastic waist band. 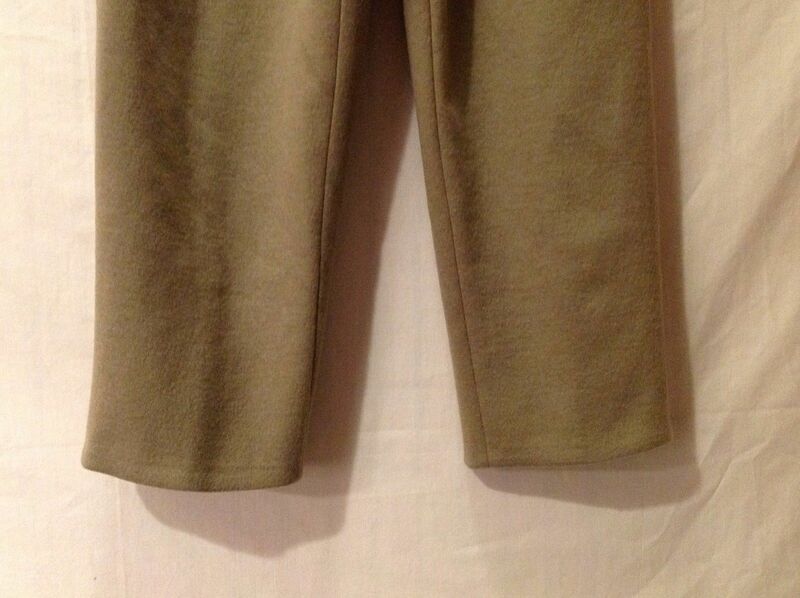 They are a size large and dry clean only. 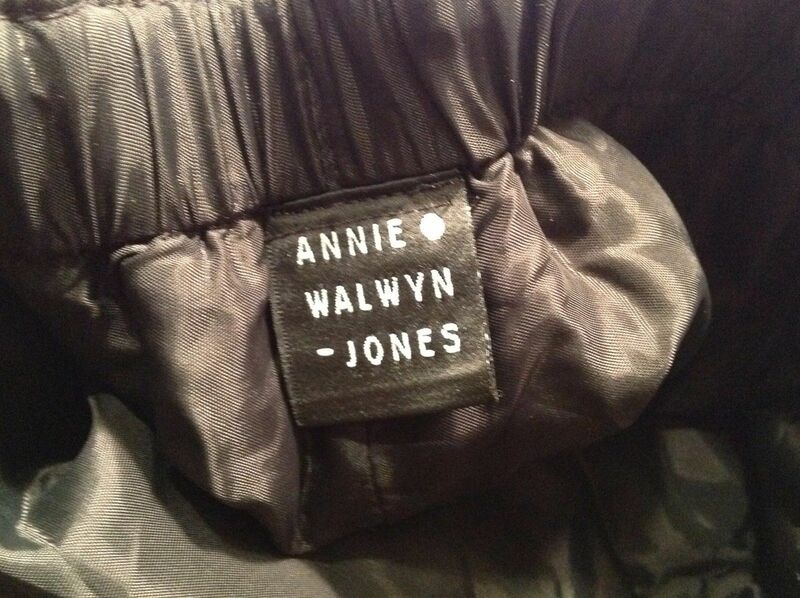 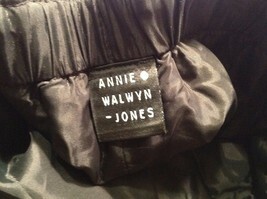 No fabric is indicated, but it is gorgeous, thick, and soft so we are thinking that it is wool or a wool blend.